Verne sences somthing wrong about RJ.. . Wallpaper and background images in the Over the Hedge club tagged: over the hedge verne rj. 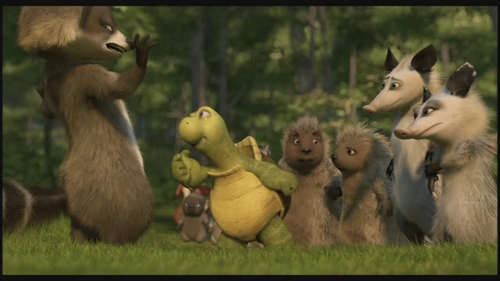 This Over the Hedge photo might contain opossum, possum, südopossum, didelphis virginiana, didelphis marsupialis, gemeinsames opossum, and gemeinsamen opossum.